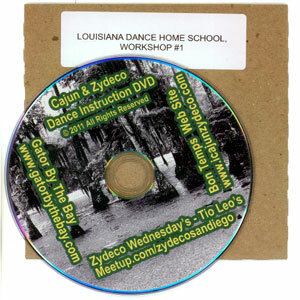 *DVD NOW HOUSED IN A RECYCLED SLEEVE (NO COVER). THE CONTENTS ARE THE SAME, ONLY THE PACKAGING HAS CHANGED. 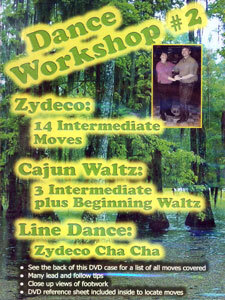 Louisiana Dance Home School – Workshop #1 with instructor Greg Benusa and partner Marain Fite. 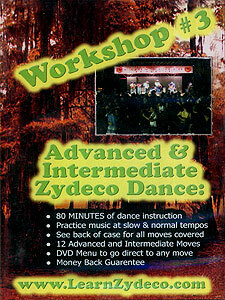 This DVD includes Beginning Zydeco, Cajun Waltz, Cajun Two Step & Cajun Jig, as well as 3 intermediate moves of each. 60 minutes of dance instruction. 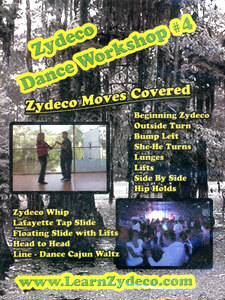 Intermediate Zydeco moves include: Double Gator Stomps, 360’s, Swivel’s. If your heading to Louisiana or just to a local dance this DVD will get you comfortable with all the dances you may see on the dance floor. The instruction is practiced first at very slow and then normal tempos as you feel more comfortable with the steps. 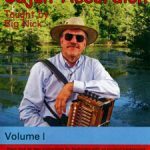 Practice music suggestion list included inside case.